What is the Point of Dependent Arising? In the first two parts of this essay I showed that a close reading of the Pāli texts associated with the doctrine of paṭicca-samuppāda contradicts the received tradition. The imasmim sati formula says that the condition must be present for the duration of the effect, which contradicts all modern accounts (though it does fit the defunct Sarvāstivāda). Despite the traditional association, this is not the conditionality of the nidānas; rather, it is that of the upanisās (or Spiral Path), a lesser-known doctrine that is well attested in Pāli and Chinese. All of this ought to have been obvious, but Buddhism as a religion generates powerful cognitive biases against seeing things as they are. Instead, we are encouraged to see things the way that religious leaders tell us they ought to be. We are taught that Buddhism offers insights into reality, or even the ultimate nature of reality, but it really does not. To some extent this is the standard cognitive bias generated by expectations, but magnified by the emotive atmosphere of religious observance. Where others are expressing devotion and making sacrifices, we are more likely to be swept along by emotional contagion (cf. Martyrs Maketh the Religion. 05 February 2010). The kind of contradiction explored in this essay is so common that we can say that it is the norm. The doctrines of the Pāli texts are frequently so faulty that later Buddhists abandoned them altogether. This is partially hidden because they retained the jargon of Buddhism, simply redefining words to give the illusion of continuity. Technical terms like "nidāna" provide a figleaf of authenticity and legitimacy and allow those seeking leverage to reference the "Pāli Canon" but, in fact, no one teaches what is in the suttas. And why would they teach ideas that don't make sense? What we teach is someone's attempt to make sense of the early teachings. This is not wrong per se, but it is deceptively presented as ancient wisdom, when often it is just modern liberal humanism. In the final part of this essay I'll apply my principle hermeneutic—Buddhism is experience—to the idea of dependent arising. I've already shown that it doesn't make sense as metaphysics and now I'll try to show that it makes some sense as a kind of epistemology. If paṭicca-samuppāda is a failure as metaphysics, does it have any application? In the year 2000, Sue Hamilton argued that the doctrines in the Pāli suttas are concerned with experience rather than with reality. Since that time other scholars have picked up on this idea and I have made it one of the central tenets of my approach to Buddhism. There is, in fact, a third textual approach to dependent arising that corresponds to this experiential approach. This third way is found, for example, in two adjacent suttas in the Nidānasaṃyutta, i.e., SN 12.43 and SN 12.44 (they are also repeated verbatim at SN 35.106 and 35.107). There is a pericope here that crops up regularly and forms the core of the idea. I'll call it the tiṇṇaṃ saṅgati formula. Dependent on the eye and form eye-cognition arises. The conjunction of the three is contact. From the condition of contact feeling exists, from the condition of feeling, craving exists. The texts say that the same is true for all the sense modalities (indriya): eye, ear, nose, tongue, body, and mind. Each of the sense modalities has its object (S. ālambana; P. ārammaṇa): forms, sounds, smells, tastes, tactiles, dhammas. The meeting of sense object and sense faculty gives rise to its own kind of cognition or viññāṇa (S. vijñāṇa). Note that ālambhana means "seized, grasped"; Pāli uses the Sanskrit spelling of indriya (we expect indiya); and viññāṇa does not mean "consciousness" (and never does). 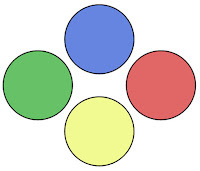 The sense faculties are also sometimes referred to as the saḷāyatana "six spheres", but this term later comes to refer to the six sense faculties along with their objects. Another important later category is the eighteen dhātus, which is the twelve āyatanas plus their respective viññāṇa. These categories become important in the development of dharma theory and form the basis of many Abhidharma lists. However, in the texts in question, the later categories have yet to be imposed. indriyañ ca paṭicca ārammaṇañ ca uppajjati indriya-viññāṇaṃ. On the basis of sense faculty and sense object, sense cognition arises. It is only when all three are present that contact (phassa) occurs and on this basis vedanā and then taṇha arise. According to SN 12:43 this is the origin of dukkha and according to SN 12:44 exactly the same process is the origin of loka. From this and other texts we know that the Pāli authors considered the two terms to be synonymous. However, this equation appears to be have been lost sight of and disappeared from Buddhist teaching until it was rediscovered by Sue Hamilton in 2000. From the remainderless absence of passion and cessation (of that craving; there is cessation of the fuel [of becoming]). From the cessation of the fuel, there is the cessation of becoming. From the cessation of becoming, there is the cessation of birth; from the cessation of birth, aging and death, of remorse, sorrow, misery, depression, and despair cease. Just this is the cessation of the whole [blazing] mass of experience. The second problem is that becoming (bhava) is abstracted out of birth (jāti). The traditional explanations of the nidānas overlay bhava with a more complex doctrine involving "the rebirth producing kamma-process" (kammabhava) and the actual "rebirth process" (upapattibhava). It doesn't make sense to consider rebirth in the abstract as the underlying condition for the physical act of birth. 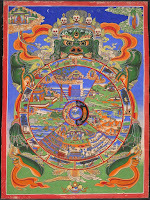 In tracing our way along the nidānas we lurch from abstractions like ignorance, to the subjective experience of cognition, to the concreteness of the body and sense organs, to the senses operating to produce subjective experience, into the realm of abstract ideas, and then back into the concrete world of birth and death. This is not a coherent series. 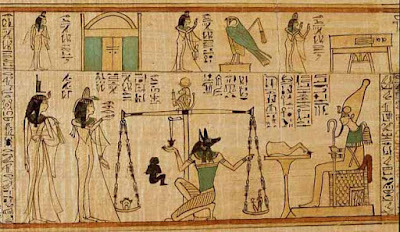 One can see how the three lifetimes interpretation emerged. Having birth be the effect of experience (saḷāyatana → phassa → vedanā → upādāna → bhava →) makes no sense because one has to already have been born in order to have experiences. In other words, experience presupposes a body and therefore birth. It is difficult to see how this series would work otherwise, although the three lifetimes model is still problematic for reasons given in Part II. Note also that a literal reading of the nidānas combined with ideas from elsewhere, especially misreading the opening verses of the Dhammapada, leads many Buddhists to conclude that "mind creates matter". In the twelve nidānas, viññāna is the condition for nāmarūpa, literally name and appearance. Even in the three lifetimes model, this pairing is part of the present rebirth process (upapatti-bhava). In order for there to be human "consciousness", there has to be a human body. One can, of course, in traditional views, become a disembodied spirit. But as far as human beings are concerned, one cannot have consciousness without a body and vice versa. This is also the conclusion of the Mahānidāna Sutta (DN 15) which presents viññāṇa and nāmarūpa conditioning each other (nāmarūpapaccayā viññāṇaṃ, viññāṇapaccayā nāmarūpaṃ DN II.56). As Frank Sinatra said, "you can't have one without the other." Note also that the Mahānidāna Sutta labours the point about eliminating all forms of birth (anywhere in any way by anyone) in order to eliminate death. The goal of Buddhism is to entirely eliminate sentient life on earth in order to prevent suffering. Even in this third approach to dependent arising the nidāna sequence is not coherent. It is a mix of different kinds of entities and events. "... all three terms refer in effect to the way one's experience (dukkha), the apparatus of which is one's khandhas, is one's world (loka). (2000: 205). Some years ago I would have called this world "psychological", but I have come around to the idea that one's world is a social phenomenon as much as it is a psychological one. The social side of cognition is completely absent from traditional Buddhism and largely absent from modern Buddhism. The important point is that it seems likely that the authors of the Pāli actually had this epistemic approach in mind. The metaphysical application was an after-thought. The Bodhi quote also introduces the idea that the Pāli authors might have entertained a duality between a subjective and an objective world, with a clear focus on the subjective. This was precisely the idea that I was expanding on in my previous essay on Perennial Philosophy. This is how the early Buddhists thought, though their views were quite undeveloped and poorly expressed. We can unequivocally say that, from the point of view of a self-aware individual, the world of experience appears to come in two varieties: objective experiences which relate to a mind-independent world (reality) and subjective experiences which relate to the workings of the mind itself (experience). The two varieties are not the result of any ontological dualism, but merely because the apparatus of experience presents these two kinds of experience to our awareness: one which is directly based on physical senses and one which is only indirectly based on the senses, if at all, but is more reflective of our reactions to experience (both affective and cognitive). The fundamental mistake we all make is to assume that, because there are two main kinds of experience, the world must be divided into two types of existence. One does not follow from the other. This becomes clearer if we compare the information from the different physical senses. Light and sound, for example, are two very different phenomena, but we now know that they are manifestations of one reality at two very different scales. It becomes apparent, to every neuro-typical four-year-old, that we are not the only self-aware being, but that other beings (human and animal) have minds that are unique but also like our own mind. We are not alone and we can compare notes. Thomas Nagel's argument that there is "something that it is like to be a bat" (viewing the world via sonar) is true, but it downplays the fact that we evolved to understand what it is like to be another person. We have a highly developed innate ability to feel what other sentient beings feel and to understand the world from their point of view. All social mammals have some capacity for doing this. When we understand other animals in this way, it is not simply projection or anthropomorphising, but recognition. Our pet's mind may be smaller and limited in scope, but it is a mind and comprehensible. And it can go the other way, domestic animals can understand and respond appropriately humans to some extent. Our experience of the world is shaped by our social environment, our sensory apparatus, our cognitive equipment, and a number of other factors. Discovering how any of this relates to reality is a matter of painstakingly separating subjective from objective by taking and comparing notes. The path to such knowledge has not been straight but we have built up a highly accurate and precise picture of how our everyday reality works. And it has nothing to do with Buddhist theories of dependent arising. The history of Buddhism Studies is littered with the detritus of naive attempts to reconstruct the "original Buddhism". It is almost always a mistake to assume that we can get back to Buddhism before it is presented in early Buddhists texts, even though it is apparent that the early texts represent a rather advanced stage of development. We can only get so far in reconstructing history from texts when there is no corroborating evidence from elsewhere. We can see a progression in the Canon: some texts have a more epistemic approach and some a more metaphysical approach. And we know that there is a general trend toward exploring metaphysics amongst Buddhists that does not fully manifest until really quite late in the development of Buddhism, i.e., well into the Common Era. Thus we expect an epistemic approach to be more prominent in early texts. The texts were composed over several centuries and we have no way, at present, of stratifying most of them. It is a matter of relative rather than absolute chronology. Also, we do not, and cannot, say anything about what the Buddha taught or thought. We just do not know how these texts relate to the legendary figure of the Buddha. The idea of paṭicca-samuppāda makes a certain amount of sense in the context of epistemology, but it comes unstuck when pressed into service as metaphysics. In other words, when applied to the context that history suggests is the earlier, we are able to use the doctrine to make a certain amount of sense. On the other hand, when Buddhists tried to use the doctrine as metaphysics we can see that they had to make many adjustments, some of which effectively repudiated the original idea and replaced it with something novel. The more metaphysics became a concern, the less like the doctrines in the early texts Buddhism became. Many later forms, such as the medieval Japanese and Tibetan schools (Zen, Shin, Gelug) bear almost no relationship to the doctrines of the early texts. Thus, we may argue that the epistemic reading is more authentic, provided that we do not overlay it with a modern epistemology. The idea that Buddhism makes a contribution to the understanding of reality, or the nature of reality, i.e., to ontology or metaphysics, is not authentic, in the sense that such claims are inconsistent with the earliest forms of Buddhism that we have access to. And this becomes increasingly obvious. 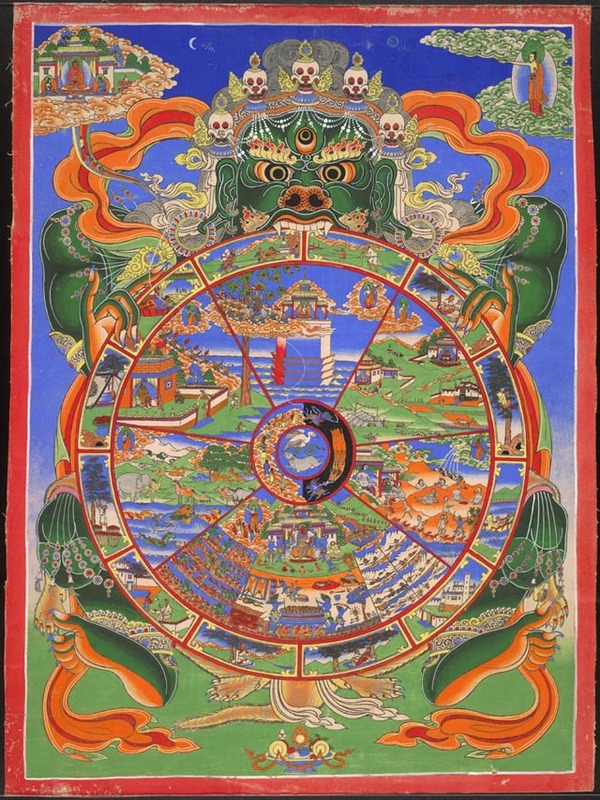 Buddhism addresses the subjective, epistemic, phenomenological, experiential world; that part of the world which is an internally-generated virtual model; what Thomas Metzinger has called the Virtual Self Model. In this domain Buddhism retains some sense and usefulness. Still, this is not an easy adjustment for anyone used to thinking that they are on the trail of ultimate reality via Buddhism. I tried to show that, in terms of ideas and methods, that Buddhism is strongly connected with subjectivity. I know that many Buddhists will remain unconvinced by this, but it is true nonetheless. If our age tells us anything it is that "truth" and "belief" are often unrelated. Bodhi 2000. The Connected Discourses of the Buddha. Wisdom. Hamilton, Sue. (2000). Early Buddhism: A New Approach. London: Routledge. We can think of the following essay as a coda to my critique of the Perennial Philosophy since dependent arising is often presented as a singular universal metaphysical truth. In this essay I will begin by stipulating that paṭicca-samuppāda is a metaphysical doctrine and then proceed to draw out the implications of this premise. The first task is to establish exactly what paṭicca-samuppāda says, using the standard methods of philology: analysing the grammar, syntax, and lexemes of the sentences. With a clear understanding of what the traditional formula says, we can try to understand what it means. I will show how the effect and condition relate under paṭicca-samuppāda. In addition, Buddhists were forced to accept a particular account of time and I will show why it had to be that account and no other. By the end of Part I, we will have a pretty good idea of how paṭicca-samuppāda performs as metaphysics. If anyone thinks this is an elementary exercise and that we can hardly learn anything new about this most famous of all Buddhist doctrines at this late stage, let me assure them that in this case I learned something new or I wouldn't be writing about it. Most of what we learn about Buddhism in the present is only loosely correlated to the ancient texts and in this case there are major discrepancies. In Part II, I will take the usual step and discuss paṭicca-samuppāda in terms of the nidānas (or bases) and what is often called the Spiral Path or upanisās. In particular, I will show, contrary to the received wisdom, that it is inconsistent with the nidānas, that the two describe very different kinds of conditionality. Unexpectedly, paṭicca-samuppāda turns out to be exactly consistent with the conditionality described in the upanisās. This is a major new observation. Finally, in Part III, I will return to the issue of metaphysics and argue that paṭicca-samuppāda has nothing to do with metaphysics, but was employed as a description of subjective experience arising and passing away. Attempts to make it a metaphysical doctrine resulted in the kind of nonsense epitomised by Nāgārjuna's Mūlamadhyamaka-kārikā. Relieved of the necessity to make sense on the level of metaphysics, we are in a better position to see what the early Buddhists were getting at. Since there is no regular pattern of metre we cannot think of these as verses. This is prose and, since each phrase has its own finite verb and there are no conjunctions, we can say that they are grammatical; four separate sentences, presented on separate lines to aid discussion. The formula occurs just a few times in Pāli: MN i.263, ii.32, iii.63; SN ii.28, 65, 70, 78, 79, 95, 96, v.388; AN v.184; Ud 1, 2. For reference, the verbs here are 有 "being", 生 "arising", 無 "non-being", and 滅 "ceasing". And Chinese does not have the rich grammar of the Indic languages so the structure is the same in each of the four phrases. It comes out sounding like something from the 道德經 Dàodé Jīng and this may not have been an accident since Daoism was a strong influence on Chinese Buddhism. However, we will stick with a grammatical analysis of the Pāli. The two phrases imasmiṃ sati idaṃ hoti and imasmiṃ asati idaṃ na hoti use a locative absolute construction with present participles to indicate the relationship between the conditioning factor (paccaya) and the conditioned factor (vipāka). This kind of construction is used to indicate an action that is simultaneous with the main action of the verb. The main clause is idaṃ hoti "this is". The deictic pronoun idaṃ is used for an object present to the speaker and hoti is a dialectical variant on the verb bhavati (√bhū) "to be, become". The dynamic sense of "becoming" is probably better since it parallels uppajjati (ud√pad) "arising", though the difference in this case is minimal. The "absolute" clause is imasmiṃ sati or imasmiṃ asati. The (irregularly formed) present participle sata is from the verb atthi (√as) and is in the locative case, while the pronoun is from the same base as idaṃ and also declined as locative. The meaning is: "this exists", but the locative absolute construction makes it "when this exists" or "while this exists"; and negatively "while this does not exist". Note that the deictic pronoun is used for both condition and effect; i.e., both are present to the speaker. However, if we translated literally it would be ambiguous, so most translators substitute this/that for this/this. With this in mind I read these sentences as, “while the condition exists, the effect comes into existence” and “while the condition does not exist the effect doesn’t come into existence.” or more briefly: "This being, that becomes" and "This not being, that doesn't become". From the arising of this, that arises. This not being, that doesn't become. From the ceasing of this, that ceases. While the condition exists, the effect exists. From the arising of this condition, this effect arises. While the condition does not exist the effect doesn’t exist. From the cessation of this condition, this effect ceases. "Arisen (sampanno)" means arising together and arising equally, not one at a time and not for no reason. There is not a lot of discussion about this, but my understanding is that the condition is both necessary and sufficient for the arising of the effect. The necessity part must be true, but the sufficiency is debatable. Conditionality might be underspecified and, indeed, in one way of talking about conditionality, multiple conditions are required to give rise to the effect (see Part III). We may ask if, in this standard case, the necessary condition could be present and not give rise to the effect? My reading of the formula is that this could not happen. Therefore the condition is sufficient. I deduced from Jayatilleke's translation and exposition that he also takes this to be the case. To labour the point, the condition must be present for the entire duration of the effect, and as soon as it is not present, then the effect ceases. To put it another way, we could say that the effect and condition must coexist. This is one way to understand the world samuppāda, although more literally it means "co-arising". The early Buddhist theory of conditionality says that an effect can only arise when the appropriate condition is present and that it must cease when the condition is absent; and thus we can say that the condition must be present for the entire duration of the effect. Note that Buddhaghosa himself has described arising as na ekekato "not one at a time" or "not from itself". The doctrine of momentariness (focused on mental events) asserts that events can only happen one in each moment of time (the one citta rule). Under the conditions of momentariness, a condition can never coexist with its effect and therefore no effect can ever arise. Dependent arising simply does not work under these conditions. So the doctrine of momentariness fails, on its own terms, to explain karma (or anything). This puts the one citta rule in the spotlight, because this rule vitiates any attempt to link consequences to actions via dependent arising since it requires the two to always coexist (samuppāda). There is a further profound consequence of the necessity for the coexistence implied by the paṭicca-samuppāda formula. Let us say that we have a number of events that (co)exist in conditioned relations as defined by dependent arising. We can call them a precondition, a condition, an effect, and an aftereffect (upanisā, paccaya, vipāka, and anuvipāka). Each one is the basis (nidāna) for the arising of the next. If the precondition exists, then the condition arises. Once the condition arises, then the effect will arise, and the aftereffect will follow. And, of course, the system is not closed, but open-ended. Let us say that the condition ceases, the effect immediately ceases, and thus the aftereffect also ceases. There is no backwards conditionality, so the cessation of the condition does not affect the precondition. This is good news for soteriology because if we can destroy the precondition then the whole edifice comes down. In Buddhism, ignorance (avijjā) is said to be the precondition for the whole miserable mess (kevala dukkhakkhanda), i.e., of rebirth, sentience, and suffering. Another way to look at this is to begin with an event and trace back the conditions. Let us say that we observe the aftereffect and we analyse the conditions for that. We know that if the aftereffect exists, then the effect must exist at the same time. But if the effect exists, then the condition must exist, and if the condition exists then the precondition must exist. And so on. So if the aftereffect exists (i.e., if we perceive it) then all the preceding conditions must also exist at the same time. In order for anything to exist now, all the conditions for it must be in place stretching back in time. And at any point in the future, this must always be true. This was effectively the view of the Sarvāstivādins, although their process of inference was slightly different; they arrived at the same conclusion: in order to be consistent with paṭicca-samuppāda we are forced to conclude that everything exists all the time. See also my essay: Sarvāstivāda Approach to the Problem of Action at a Temporal Distance (02 May 2014). There is a further problem here. This is a workable explanation of existence or becoming, but how could anything cease under these conditions? In order for something that is present to cease, the condition would have to ceased, and the condition for the condition, right back to infinity. But if all the conditions right back to infinity cease, then it would seem that all conditions whatever must cease. Thus if anything ceases than everything ceases. Though, of course, this is not what we experience, so it must be wrong. One way around this would be to argue for a distinct thread of conditions for every phenomenon. However, in order for something new to arise, the conditions would have to stretch right back to infinity. In fact, if we follow the logic of paṭicca-samuppāda, nothing can come into existence and nothing can come out of existence. And since this is not the universe we observe, even on a superficial level, then something is wrong with our theory. Dependent arising does not describe the world at all. It cannot be thought of as a metaphysical theory. The precondition cannot be the condition for itself. Any event that is the condition for itself can only be always existent or always nonexistent. If it presently exists and is the necessary and sufficient condition for its own existence, then the condition is present and it must continue to exist forever. If it presently does not exist, then the condition does not exist for it to come into existence and never will. Time is linear and infinite towards the past. There is an infinite and constantly expanding stream of conditions which allow the present to exist. Time is linear and finite in the past. This would lead to a first condition which must always exist for anything at all to exist. Time is circular. This reduces to the case of an event being the cause for itself. In other words, If A is present then A is present; if A is not present , then A is not present . If A is not present, the only way for it to be present is if B is present, but B can only be present if A is present. Therefore A is never present. If A is present, then the only way for it to cease is if B ceases. But the condition for B is A which is present, thus A is present. Therefore A is always present. If B stands for a relation such as (P ⇒ Q) then we can see that for any arbitrarily long chain of similar relations, circular conditionality with obligatory presence logically reduces to: (A if A) and (¬A if ¬A). Traditionally, Buddhists opted for the idea that time was linear and infinite towards the past, but they combined this with epicycles of evolution (samvaṭṭati) and devolution (vivaṭṭati). Strictly speaking, it would not matter if the universe were spatially finite, or had a finite future, but under dependent arising time must be infinite in the past to avoid an eternally existing first condition. The paṭicca-samuppāda formula describes a dynamic in which the condition must be present for the effect to arise and the effect ceases when the condition ceases. It says that the condition must be present for the entire duration of the effect. It has always said this, so if you learned something different then, I'm sorry, but your teacher misled you. Historically, only the Sarvāstivāda understanding of conditionality is consistent with paṭicca-samuppāda. The requirement for presence means that the condition must be present for the effect to arise; and it means that the condition for the condition must also be present. And so on back through time. To avoid an eternal initial cause, Buddhists have to adopt a worldview in which time is infinite in the past. To avoid having conditionality collapse into something being a condition for itself, time must be linear, although within this linear time, Buddhists accepted the Vedic myth of epicycles of evolution and devolution. However, having explained presence this way, we struggle to explain ceasing. I am sticking to the internal logic of paṭicca-samuppāda in this essay, but I cannot help but point out that early Buddhists were wrong on two counts: time is continuous rather than discrete; and time is finite in the past. As far as I can see paṭicca-samuppāda explains nothing on its own terms and it explains nothing on modern terms. This concludes Part I. Part II will look at the relationship of paṭicca-samuppada to the concepts of nidāna and upanisā. Jayatilleke, K. N. (1963). Early Buddhist Theory of Knowledge. Motilal Banarsidass, 2010. In this three-part essay, I've argued against the idea of a single, overarching metaphysical truth as conceived in the Perennial Philosophy. I characterised it as an eclectic and syncretic form of religiosity that eschews the organised part of religion. At the heart of Perennial Philosophy lies the matter-spirit duality that has retarded progress in thinking about religion, religiosity, and religious experiences. And this duality is itself based on a fundamental misunderstanding of the distinction between epistemology and ontology: i.e., mistaking experience for reality. The single metaphysical truth is not the conclusion of Perennial Philosophy, it is the intuitive premise on which it is based. Religious experiences merely confirm this intuition. This is not to say that people do not have experiences that are outside the usual range of waking awareness. Altered experiences are relatively common. 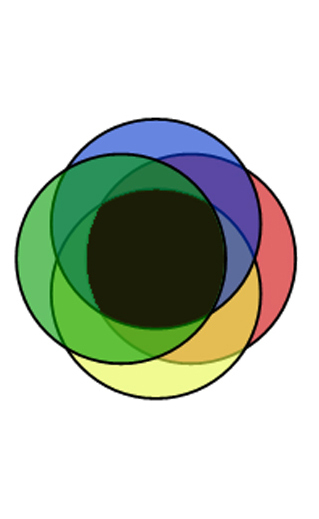 In order to better place these kinds of experience in a naturalist setting, I introduced the idea of a spectrum with pure subjectivity at one end and pure objectivity at the other. Religious experiences, in the Perennialist understanding, point to some form of pure objectivity, but I began to suggest that they are more like pure subjectivity. In Part III, I will try to show how we can make sense of, and find value in, altered experiences without accepting the premises of either traditional religion or of modernist forms of religiosity. I will argue that Buddhism employs methods that involve increasing subjectivity. Thus, any knowledge gained is not concerned with the nature of reality, but with the nature of experience. And, crucially, that this form of knowledge is useful and valuable to anyone who attains it. There are so many different approaches to meditation that any generalisation is bound to fall short. I'm going to say that the paradigm for meditation is sitting still, eyes closed, focusing on some aspect of experience (aka an ālambhana or object of meditation). Of course, some people prefer to meditate walking, with eyes open, or with no particular focus. Generalisations always admit to exceptions and are thus limited in scope. For the moment I want to work within this limited scope in order to make the subject manageable for an essay. So when I refer to "meditation" below, I am referring to this paradigm. In meditation then, we withdraw our attention from the sensory world. As we focus our attention on the object it appears to expand to fill up our awareness. The sensory world appears, from our point of view, to fade away. By this I mean, in Buddhist terms, that deprived of contact (sparśa) the mental objects (dharmas) associated with objects don't arise. One may pass through a threshold so that this minimal experience becomes stable. The object remains present in our minds without distraction, but the experience may be accompanied by quite intense physical/emotional resonances: traditionally called rapture (prīti) and bliss (sukha). Whatever we call this threshold or the experience of stability, with practice we can cross over and sustain it more or less at will. Going deeper, all bodily sensations fade away leaving us in a state of profound equanimity that is traditionally referred to as samādhi, a word that I understand to mean "integration" (the word has a more general sense as well, but I will use it in this specific sense of profound integration). Our usual awareness flits constantly from object to object, accompanied by conscious perceptions, reactions toward or away, urges to act, and associative thinking. Samādhi is characterised by awareness being one-pointed (ekodibhāva). Generally speaking, in this state there is no awareness of the world or of our body. It is a happy and contented state to be in. One of the interesting side-effects of a lengthy period of samādhi can be a subsequent lack of motivation to do anything; a kind of lassitude with respect to the world. Normally we feel all kinds of competing desires and want to do all kinds of things as a result. Such desires may be attenuated by samādhi. In the absence of desires, there is no motivation. Even usually powerful urges like hunger might not have much effect for a while after a lengthy period of samādhi. the world as it is represented by our minds. And when the Pali texts are talking about bringing the world to an end, they are using the third definition. So the question in a Buddhist context is more precisely this: what happens to perceptions of the world when we do not perceive the world? The answer is nothing happens. Percepts simply fail to arise. When we are not in contact with an object, then no perceptions of that object will be presented to our minds. We will not be aware of that object. This is an epistemological point. It speaks to what we know. It says nothing whatever about the existence or non-existence of the object. Indeed, the Kaccānagotta Sutta (SN 12:15) explicitly says that in this context, existence and non-existence don't apply. Incidentally, we can also say that nothing happens to the world in the more general sense as well. Contrary to popular belief, the world does not depend on our attention, at least this is what mainstream physicists tell us. Consciousness plays no role in the universe. If one person sitting in a hall of 100 people enters samādhi, the world carries on for the 99 who are not in samādhi. Meditation is localised. Your meditation does not affect my experience (in the moment). Where does this put us on the subjective/objective spectrum? Simply closing our eyes cuts off visual perception of the world and pulls us back from shared experience. Absorbed in the object of meditation with no sensory cognitions, we enter states of increasing subjectivity. Not pure subjectivity perhaps, but there is very little overlap and perhaps nothing that fits in the middle ground. In meditation, as described, we lean toward the subjective pole of experience and away from the objective pole. Imagine that a skilled meditator enters a stable state of withdrawal, but they go deeper, until passing through more and more subtle thresholds, they find themselves in a state where no sensory cognitions arise and no mental cognitions arise. Experience as we generally understand this term has stopped for that person. There are no sense impressions reaching their conscious minds at all and no thoughts about anything. Unlike states of sleep or anaesthesia, they are still aware. When there are no longer any objects registering the sense of being a subject, i.e., the experience of selfhood, itself tends to fade away. 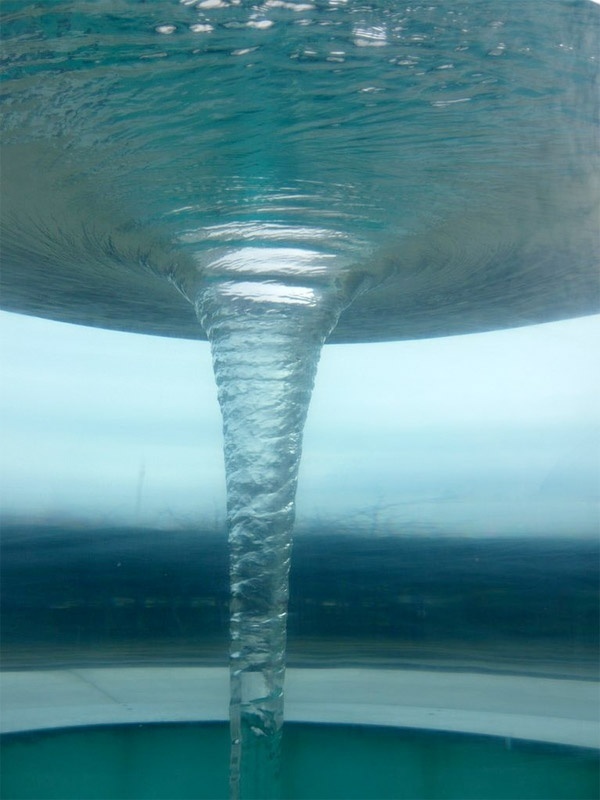 There are no physical sensations registering, so there is no way to orient themselves in spacetime. There is awareness but it is not intentional, i.e., not directed at anything, because nothing is presenting itself to awareness. We might call this state, following the Pali suttas, "emptiness" (suññatā). Nothing from the objective world impinges on awareness in emptiness, there is not even a sense of subject/object duality. So one has gone over to the subjective pole as far as one can go; this is pure subjectivity, or as close to it as one can get. And it is as far from pure objectivity as one can get. It is precisely from this experience of pure subjectivity that we are asked to believe, as Buddhists, that knowledge of the true nature of reality emerges. It is true that having been in emptiness, one's perceptions may change, sometimes permanently. One of the most common changes that people notice is an absence of self-referential thinking. Sometimes this is referred to as being egoless. There is a circular discussion that I've been having with a colleague for a couple of years now. He reports that he has no sense of self. His world is just a field of experience and there is no sense of ownership or a special perspective on the field. He goes further and states unequivocally that arising and passing away no longer characterises his field of experience. I am fortunate enough to have a couple of other people with whom I can compare notes on this. Doing so with one of them, he pauses, introspects for a few seconds, and then offers, "Yes, it can seem like that". As far as I can tell, both colleagues are enlightened in the traditional sense. And there are a bunch of other people around who are credibly enlightened. Or something very like it (I'm not much interested in the traditional definitions or quibbles over them). Their stories differ in some respects and coalesce at others. But here we run into problems. What seems to happen with the awakened is that after awakening they confirm the accuracy of the doctrine they learned before awakening. So in the case of, say, a Vedanta practitioner like Gary Weber, he confirms absolute being (brahman as described in the Upaniṣads). This means that the world is completely deterministic and events just unfold as preordained. There is no such thing as free-will. But awakened Buddhists confirm something completely different: there is no absolute being, the world is largely deterministic but there is a chink through which we can escape because we have some freedom of will. Theists who experience awakening confirm that they have experienced communion with God or been in God's presence. Mystics that they have experienced the ineffable. And so on. At a stretch, one may extract something common from all these accounts so that they appear to confirm the Perennial Philosophy. This is simple confirmation bias. The fact is that when you look at the accounts they are all different. Their methods push them towards the subjective pole and any knowledge they gain is more or less purely subjective. Just like a meditating Buddhist. People who claim to have no ego or no first-person perspective find it difficult to acknowledge that whatever events or changes that have occurred are subjective. They still have a pair of eyes that receive photons and a brain that turns electrochemical signals into an experience. And the experience they have is just their experience and no one else's. I have previously used John Searle's example of nutrition obtained from food. When we eat food we absorb nutrients from it and these are not available to other people. If the Buddha has lunch, Ānanda does not feel full. If an egoless person perceives, say, a red apple, that perception is not mine. It is not yours. It is not everybody's experience. And it is not nobody's experience. It is an experience that one person is experiencing. It is their experience. It is therefore subjective. Whatever they say about how they perceive experience or themselves, the experiences that awakened people have are still particular to one individual. They are still only accessible to the individual whose sense organs are creating the signals to the brain. It does not matter how the individual conceptualises and communicates about it. If you genuinely don't perceive a subject in your field of experience then this will not be an easy argument to get your head around. If you mistake the subjective for the objective, if you argue, for example, that the pure subjectivity of emptiness is actually pure objectivity, then your understanding of this situation will be compromised. Which may be why the awakened appear to be so bad at philosophy, on the whole. In some conversations I've had, I have pointed out that the egoless person is still able to have a conversation. They know who is speaking and can parse heard sentences into meaning (which requires temporal sequences of sounds being processed into language). They know that the ideas in their head as a result of hearing someone speak are not the same as the ideas that come from their own thought processes. Thus, you can ask them "how's it going?" and they reliably convey information about their own state of well-being and do not try to answer from some other point of view. To "parse" a sentence is literally to state the parts of speech for each word. It comes from the French plural of "part". But we can use the term generally for any process by which we sort information into categories in order to make sense of it. For example, in every two-way conversation the participants have to accurately parse all utterances into "I said" and "the other said". In other words, we have to keep track of who said what. There is simply no way around this. If a person is able to converse successfully, then they are, minimally, parsing the utterances into their own and the other persons. They have to parse the concepts and the grammar of the utterance. Then they have to construct some kind of appropriate utterance in response. I'm reminded of John Searle's idea of background capabilities. Although societies have rules and we do have to learn them, becoming a competent citizen (or whatever) requires that we internalise the rules. In Searle's language, we develop dispositions for action that largely conform to the rules without having to consciously reference the rules. I cover this in the 5th of 5 essays about Searle's ideas on social reality: Norms Without Conscious Rule Following (28 Oct 2016). When I was learning Sanskrit, one of the texts I read in class was the Sāṃkhyakārikā (SK), a sūtra style text composed ca. 350-450 CE and attributed to Īśvarakṛṣṇa. This outlines what is called a dualistic worldview: the duality is between puruṣa and prakṛti. Puruṣa is the eternal, passive conscious observer while prakṛti is the ephemeral active phenomenal world. The usual state of affairs is that consciousness is caught up in the play of phenomena and treats them as real. Thus, people do not see the true nature of phenomena or their own true nature. However, through religious practices one can roll back the phenomenal world until prakṛti is in the quiescent state called pradhāna "first". At this point, puruṣa is no longer assailed by phenomena and one's true, eternal nature can be realised. Anyone attuned to the language of modern Buddhism ought to hear the resonances here. A lot of us talk about Buddhism in Sāṃkhya terms. And no one questions this or asks how the Sāṃkhya vocabulary made its way into Buddhist discourse. I suggest that what Īśvarakṛṣṇa called pradhāna is the same as, or at least equivalent to, śūnyatā. Meditation techniques were widely known and practised across India in the first millennium BCE. There are hints that formless meditations were widespread, for example, in the stories about the Buddha's early career in the Ariyapariyesanā Sutta (MN 26). It seems that some techniques were shared across different sects. Both pradhāna and śūnyatā are described as states in which the practitioner becomes a passive observer of a quiescent state in which no phenomena are arising or ceasing, a state in which all sense of orientation in spacetime is lost, giving one a sense of timelessness (no beginning or end). These are classic "mystical" or "religious" experiences. In the beginning this world (idaṃ sarvaṃ) was only Brahman, and it knew itself (ātman), thinking "I am Brahman" (ahaṃ brahman). As a result it became the Whole (idaṃ sarvaṃ). Among the gods, likewise, whosoever realizes this, only they become the Whole. It was the same also among the seers and among humans... This is true even now. if a man knows 'I am Brahman' in this way he becomes this whole world. Not even the gods are able to prevent it, for he becomes their very self (ātman). So when a man venerates another deity, thinking, "he is one, and I am another", he does not understand. The Vedanta interpretation of this suggests that awakening is merging with Brahman, where Brahman is conceived of (a priori) as absolute being. There are various expressions of this, ahaṃ brahamaṃ, "I am Brahman"; tat tvaṃ asi, "You are it"; and so on. Brahman is said to have three characteristics: saccidānanda; i.e., being (sat), awareness (cit), and bliss (ānanda). The last is particularly resonant with Buddhist descriptions of cessation or emptiness, although the very idea of Brahman is criticised in the early Buddhist canon, especially the Tevijjā Sutta (DN 13). This suggests that we need to take a fresh look at certain types of altered experience. Although the term "mystical experience" is in widespread use, to my mind the term suggests acceptance of certain premises that I think are up for discussion. I will, therefore, refer to "altered experiences" as an attempt at something more neutral. Altered experiences come in a great deal of variety and not all of them overlap with the idea of mystical experiences. In trying to tabulate them researchers have come up with various related qualities that might apply to altered experiences. There are 100 different qualities in the States of Consciousness Questionnaire, but many researchers now used a revised Mystical Experience Questionnaire with 30 items drawn from the 100. The qualities are grouped into categories like internal unity, external unity, ineffability, transcendence of space and time. One of the prominent target qualities is interpreting the experience as "ultimate reality". This highlights the deeply problematic nature of the idea of altered experiences. Our approaches to them are interpretative. Both experience and interpretation are ontologically subjective, so there is no easy way to probe these. If someone tells us they experienced "ultimate reality" we cannot easily know what they mean by that. One would have to do extensive research into the way a person thinks about reality to really know what they meant by reality in the first place, let alone what ultimate reality might mean for them. Ironically, the very concept of ultimate reality is highly subjective. And interestingly, ultimate reality appears to be different for different people, which tells us at least that whatever the experience is, it is not ultimate. The hyperreal sense that one has of these types of experience is a quality of the experience. And we have to emphasise that this is not a shared experience, so the hyperreality of the experience places it at the subjectivity end of the spectrum: hyperreality is an illusion. There are two main occasions for altered experience: in a religious context, which usually involves indoctrination and heightened expectation; and in drug taking in which a drug molecule interferes with the normal working of the brain, often by suppressing the operation of centres which coordinate information. Expectation is highly influential on how we interpret what we perceive and can even directly affect what we perceive. The illusion of hyperreality is simply that, an illusion. It is certainly an altered state of consciousness, but if anything it is less real. Some will argue that it is more real because it seems more meaningful. But meaning is not intrinsic to experiences, meaning is subjective. We make meaning. And think about it. If I take some psychedelic drug and my perceptions of the world change, do your perceptions change? No. They don't. The drug is ingested and works by a molecule interfering with the activity of the brain either as agonist or antagonist. And when the molecule is metabolised then the effects wear off. Ultimate reality can't wear off. Some of the experiences are framed in mystic terms when they needn't be. For example, if you lose your sense of orientation in space and time, because you have lost out awareness of the reference points that make this possible, you have not, as the questionnaire suggests "transcended space and time". You just lost your awareness of them. No one ever transcends space and time in any real sense. 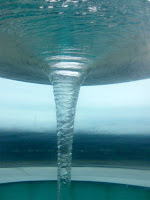 You may think you are transcending space, but no one around you can tell what is happening in your head at that moment. So the feeling of losing track of spatial boundaries and orientation is just that losing track. As freaky as this experience may be, no transcending takes place. It is entirely possible that someone might transcend their sense of self or their attachment to certain types of experiences. Subjectivity can be transcended, but objectivity can only be lost track of. There are a whole raft of ways of saying that you find it difficult to communicate your experience afterwards. But this can hardly be surprising if you lose awareness of cognitive processes in the altered state. In Thomas Nagel's terms, there is nothing that it is like to be in a state of emptiness. Another prominent target property is a sense of connectedness or oneness. Why is this so prominent and why does it feel so meaningful? The boundaries of selfhood are obviously part of a brain-generated self-model (a la Thomas Metzinger) and they can break down under a variety of circumstances, some of which are not at all mystical. I've often cited the example of Jill Bolte Taylor's account of her stroke. It's a very moving account of the beauty she experienced as those boundaries dissolved. On the other hand, she was having a major stroke and it took her eight years to rehabilitate. Another reference to connectedness that I've often cited comes from Ariel Glucklich's book The End of Magic. He describes our basic state of well-being as involving a sense of interconnectedness. That sense can break down due to illness and what the Tantric healers of Varanasi try to do is revive that sense of connectedness. With respect to a sense of connectedness, we may also reference Frans de Waal and his work on the dynamics of primate groups. As social primates, we are bound to our social group by empathy and reciprocity. Feeling "connected" is something that all social primates spend a lot of time on. About a third of wild primates' time is spent in mutual grooming. As Robin Dunbar has shown, humans have found more efficient ways to achieve cohesion in large groups where one to one grooming would take up far too much time (we also have to forage and sleep). In traditional societies we do this through communal singing, dancing, telling stories, and shared ordeals. Modern urban societies tend to rely on ersatz versions of these. As a young man, the euphoria of being part of a dense crowd at a rock concert, singing along and dancing was one of my favourite experiences. * The social lifestyle requires a heightened ability to feel connected with other members of the group. That we can isolate and over-clock this quality is hardly surprising. * Speaking of which, I note with sadness the passing of Pete Shelley of Buzzcocks, who were the best live band I ever saw. There is something about human brains that allows us to have these kinds of experiences. We don't yet know what it is, but we have some interesting clues. For example, we know that certain types of task cause the sense of self to "shut down". The inhibition of ego is a built-in function. This is presumably also related to the phenomenon known as flow, first noted by the magnificently named Mihaly Csikszentmihalyi. The Perennial Philosophy is an argument about metaphysics, i.e., about existence and truth. What I have tried to show is that this presentation is orthogonal to reality. What mystics experience is not ultimate reality, but pure subjectivity, albeit with a quality of hyperreality. There is no doubt that this experience has attractive features, despite the fact that it tends to make for confused philosophy. It's not even true that altered experiences all have the same flavour. There are at least 30 different flavours of altered experience, perhaps as many as a hundred. No matter what games they play with language, the awakened individual is still just one person having experiences. Awakening is one person's experience, even if they don't perceive themselves as a person. Given this and the methods used to attain this state, there is no possibility of a purely objective truth emerging from it. Yes, there are some common features of the experience itself. The commonality is not widely shared and is still not the middle ground, but towards the subjective pole. If there is a workable Perennial Philosophy then it points to a variety of epistemic patterns rather than a single metaphysical truth. Perception is an activity of the brain and it can be disrupted in different ways to give a range of altered experiences characterised by as many as a 100 different properties in several categories. One of the tendencies for those who have altered experiences is to see them in isolation. In a long conversation about insight with Vessantara he described the "Aha" moment and how it leads one to think along the lines of "this is it!". Without further practice, for example, one can become fixated on a particular interpretation of emptiness. If one keeps practising, then one reaches another "Aha" moment and realises that one's previous insight has been superseded. That was not it, but this, now, this is it. If one keeps practising then the same thing happens. Again and again. Until one realises that despite all the "Aha" moments there doesn't seem to be a definitive "this is it". The process simply keeps unfolding and one learns to relax about it and not to take the conclusions too seriously. So, in effect, there is no one truth that is pointed to, except that whatever you believe to be the truth, turns out not to be, from another point of view. Perhaps this is why the mental state of emptiness came to symbolise a more general truth for Buddhists. Even if we stipulate, for the sake of argument, that there is one metaphysical truth, no one ever seems to experience it; or everyone experiences it differently. Those who claim to have experienced the ultimate truth are, in fact, just stuck in their current phase of awakening and making a mistake. The mistake is primarily an epistemological mistake; it is a misinterpretation of an experience that is towards the pure subjective pole. The secondary mistake is to extrapolate an ontology from this mistaken view and the technical term for this is prapañca. As I understand the Buddhist project, the idea is to suspend judgement and just pay attention to what we happen to be experiencing (without getting hung up on the past or the future). And, at the same time, to deliberately pursue experiences far towards the pole of subjectivity. The idea seems to be that we are supposed to turn this into a definite view, because repeated insights tend to deconstruct any views that develop about past experiences. There is nothing in this about the nature of reality or theories about the nature of reality. There is no metaphysical truth. We are not spiritual beings. We are human beings, having human experiences. No more, no less. In Part I of this essay I concluded that the Perennial Philosophy "ignores historical processes, fails to adequately distinguish epistemology and ontology, and asserts an untenable matter-spirit dualism." It is the second of these points that I wish to pursue in Part II. In particular, I will pick apart the claim of a metaphysical truth. Before I can do this, I need to introduce a way of thinking about experience that clearly distinguishes subjectivity and objectivity. 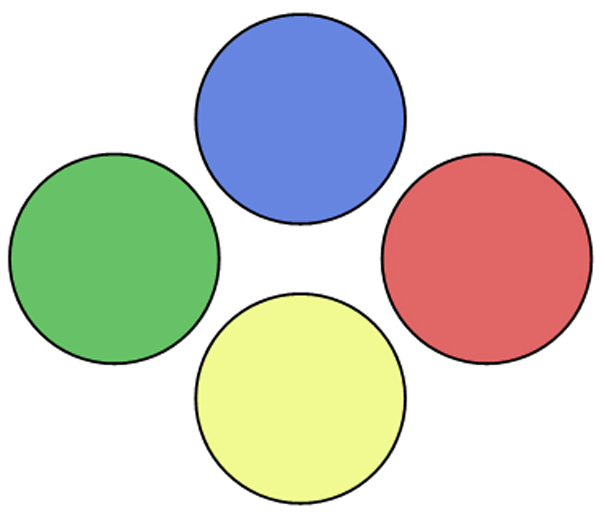 In the following diagram, I depict a model world with just four people. 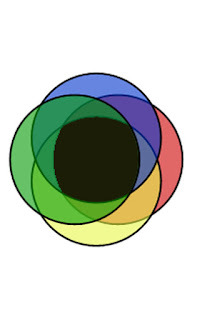 The field of experience of a person is represented by a coloured circle. The fields of experience may overlap with all others, with some others, or not all. It is assumed that people are able to communicate about their experience to about the same extent as their fields of experience overlap, because communication is a kind of shared experiential. I will present this as a general model of experience but also use it as a way of highlighting certain qualities of particular experiences. Keep in mind that this is a simplified model created for rhetorical purposes. It does not perfectly represent a real person's field of experience. I will use the model to make analogies, but there are limitations. A general point is that most experiences are intentional. In philosophy of mind, intentionality refers to the quality of "aboutness". So we think about our day, or see an object, or feel happy to see our friend. Experience is structured by this epistemic subject/object distinction (later I will posit that this must also be true of the awakened). The structure is reflected in universal features of language. All human languages enable us to identify objects and processes using nouns and verbs, and specifically to identify agents and patients (who is doing what to whom). Note that subjectivity, as I am using the word, is not the same as ego or self-referential thoughts. Subjectivity is a point of view forced on us by the architecture of our bodymind. No one else can see through my eyes. And even the awakened still only see through their own pair (I don't take stories of ESP literally). One may have an egoless subjectivity, because subjectivity, as I am using the term, refers to all kinds of experience. By contrast I take objectivity to apply to any and all facts that are true without reference to our experience of them. In the normal scheme of things, all knowledge has an irreducible component of subjectivity, and it is really only collectively that we can infer objective knowledge, since comparing notes enables us to eliminate qualities that are only apparent to us. 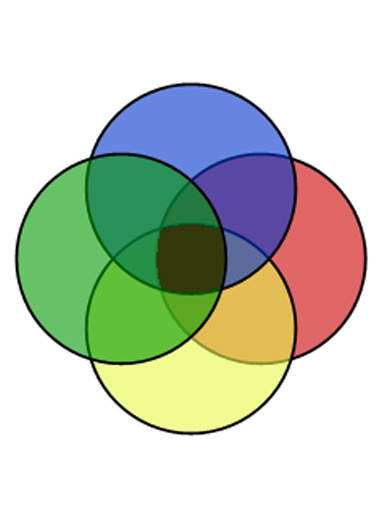 On the far left of the diagram, we see four fields of experience that do not overlap at all. 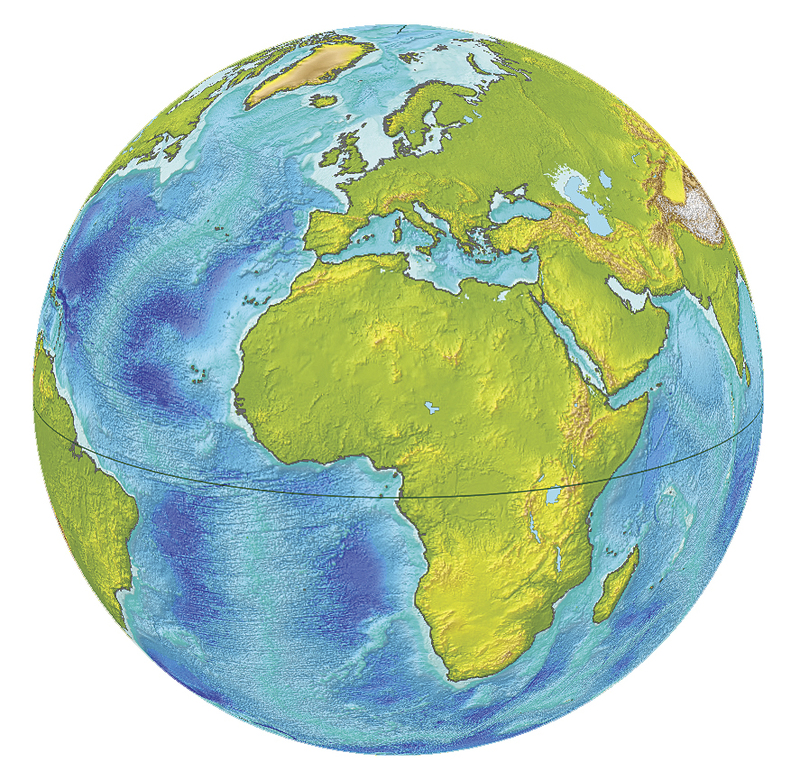 These are four people in contact with four separate parts of the world, perhaps on different continents, and with no overlap of their sensory fields. In this artificial world, each person has only their own perceptions and while they can compare notes on experience, there is no apparent commonality and thus no possibility of agreement. It is as if they live in different worlds. If this is a single experience, then all four people disagree on the nature of what happened. No two descriptions share any features. An important class of experiences falls into this category, i.e., experiences where the object is apparent to us, but not to anyone else. Examples include, my private thoughts, or hallucinations (on which, see also my essay Realities). In the second left position, some of the fields of experience overlap. When they compare notes neighbours can find come commonality, but there is still nothing that they can all agree on. There is no general sense of a shared experience. While red may agree to some extent with blue, and to some extent with yellow, blue and yellow have no common ground. As far as blue and yellow are concerned they are experiencing entirely different worlds. With respect to a single experience we might say that some of the accounts partially overlap, but the opinions expressed about the experience are still largely unrelated to what others are saying. As with pure subjectivity, there is no common point of reference. In the middle all the experiential fields overlap to some extent. For the first time, there are some experiences that all four people in this world share. Note also that there is considerably more overlap generally. As well as all four sharing experiences, there are some experiences shared by three, but not the fourth. About one third of their experiences are available only to them. For the first time, the four are able to agree on some details of a single experience. They will all agree that they experienced something similar, though they may still disagree on many details. We see here the beginning of objectivity, because comparing notes allows each observer to identify the aspects of the experience that are subjective and eliminate them from their account. However, a good deal of uncertainty remains for any knowledge inferred about the object. In this state there is substantial overlap between all the experiential fields. About half of any given person's field of experience overlaps with all the others and less than a quarter is private to any one person. The four are now largely in agreement on the core features of a shared experience, though they may still have their own opinions about it. In these cases, observers are able to infer knowledge about the object of experience with a high degree of confidence and begin to formulate descriptive and predictive theories about how objects behave to levels of accuracy and precision that are limited by their ability to measure. 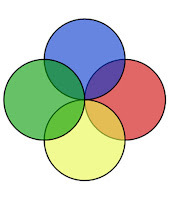 At this end of the spectrum, the sensory fields of each of the four completely overlaps with the others. Nothing about the experience is private or hidden from the others. Of course this never occurs in nature because we all have our own views and thoughts that are inaccessible to others. But in discussing the perennial philosophy we need this extreme because it encompasses the category of absolute truth or pure objectivity. This is the one experience that everyone has in exactly the same way and that cannot be distinguished between them. Every detail is perfectly aligned. Any knowledge about this kind of experience is entirely shared by anyone who has the experience: the observer has perfect knowledge of the object and completely understands everything about it and they know that the others know. In other words, this is what a metaphysical truth would be like. This, then, is the model and how it works on two levels: the general level of the extent to which experience is shared (from not at all to completely) and the level of agreement amongst people about a specific experience. I hope it is obvious that most of our experiences are in the middle ground. We share experiences to some degree with the people around us, but most of the people are not around us, so our sensory fields do not overlap. With respect to any given shared experience we can usually agree on the core features and some of the details, though there is always room for subjective, not to say idiosyncratic, conclusions and opinions. For example, if I lean over the fence and ask my neighbour how the weather is and they say it's cloudy and raining, when I am experiencing clear skies sunshine, I will intuit that one of us us out of touch with reality, or they are feigning it for some rhetorical purpose, perhaps humour. If I am sharing a meal with someone who likes searingly hot chili and is very much enjoying it, but I dislike the burning sensation, then we are having the same experience but interpreting it differently. There's overlap, but it's slight. What can seem to be pure objectivity can still be wrong. For example, for thousands of years, people have watched sunsets. Their body tells them that they are at rest via multiple sensory channels (kinesthetic, proprioceptive, vestibular, visual, visceral). If I am at rest and there is perceptible movement of an object, then the only logical conclusion is that the object is moving. However, in the case of the sun, we know this is wrong. The fact is that we are moving relative to the sun, but the acceleration is so small that it does not register on our senses, giving us a false impression. I have called this the sunset illusion. We still talk about the sun "setting" even though we know that it does not because it feels right. There are many other kinds of sensory illusions, as well. These are oddities of how our senses work and how the brain interprets signals from nerves and presents a picture to awareness. Such illusions are important to keep in mind when thinking about metaphysical truth, because, obviously, such a truth could not fall into this category. Similarly, what can seem to be pure subjectivity can still have an objective component. Just because you're paranoid, doesn't mean that they are not out to get you. Sometimes people will insist that we can't know how they feel, but of course we can. Emotions are universal and we do know how things feel. What we cannot replicate are the thought patterns that accompany emotions. Emotions themselves are relatively simple and can be boiled down to about seven or eight basic moods. And they are highly contagious precisely because we are empathetic: we literally experience the emotions of others. And empathy is universal in social mammals. In practice, our individual knowledge of the world is always coloured by the physical nature of our senses and the architecture of our brains. Pure objectivity is never attained under normal circumstances. Mystics argue that it can be obtained under extraordinary circumstances and Perennial Philosophy rests on this claim. If there is a single overriding metaphysical truth, then in principle at least, it must fit my definition of pure objectivity, and to experience it would be to have 100% overlap with everyone else who experiences it. All descriptions and definitions of it would be identical because experiencing it would not involve any subjectivity. Indeed, the complete agreement on the truth could be seen as the defining feature of the Perennial Philosophy. Proponents assert that religieux completely agree on a core of common beliefs and that all religions point to (if they do not actually teach) this single absolute truth or Truth. In my view, however, this is an impression created by a biased and highly selective reading of religion and mysticism. The supposed common core of beliefs is more like a collection of vague statements of values expressed in woolly terms. I have already pointed to a better explanation based on the necessary characteristics of social mammals: empathy and reciprocity. The social lifestyle requires these. As the social lifestyle becomes more sophisticated and groups grow larger, these two qualities lead to mores and to morals. 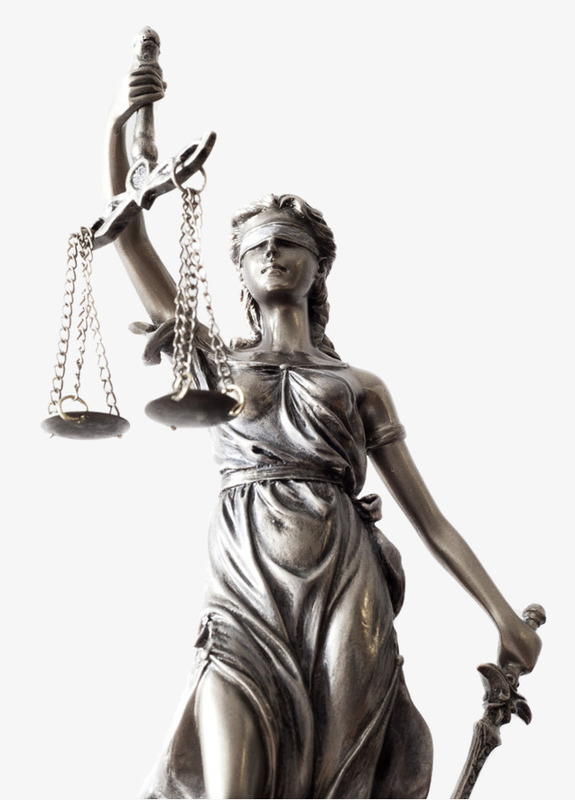 Once we can think abstractly about our mores, we discover morality and we can begin to tease out ethical principles. Without the evolutionary argument for commonality, we tend to look to explain it by appealing to some external agent, such as metaphysical truth. Having a better explanation helps, but it does not eliminate the bad explanation. This requires a different strategy. The proposition I will defend is that all human experience occurs on this spectrum (or something analogous to it). Some philosophers of mind will counter that all experience is entirely subjective and inaccessible to others. But if this were true we'd never agree on anything. And on some things we find an extraordinary degree of agreement. Ask anyone at all, anywhere on the planet, about gravity and they will describe something similar because the experience of having weight is more or less the same for everyone. Put anyone in microgravity and they will struggle to orient themselves, and their physiology will change. Gravity is an objective fact and the only uncertainty about it is in the tooth-fairy agnosticism category (aka philosophy). We might explain things in different ways, but the phenomenology is so similar as to be beyond coincidence. We all know the experience of weight. How the spectrum applies and the point of it will become clearer if I outline the examples that made me think of it. I will do this in part III. At the heart of my criticism of the Perennial Philosophy is a rejection of the idea that we can arrive at a purely objective state or the knowledge that pertains to it, via purely subjective methods or experiences. Indeed, this seems to me to be self-evidently false.